To sharpen a center focal point and divert one‘s attention away from un-important background imagery, field photographers often purchase an expensive lens and widen the aperture on their camera. 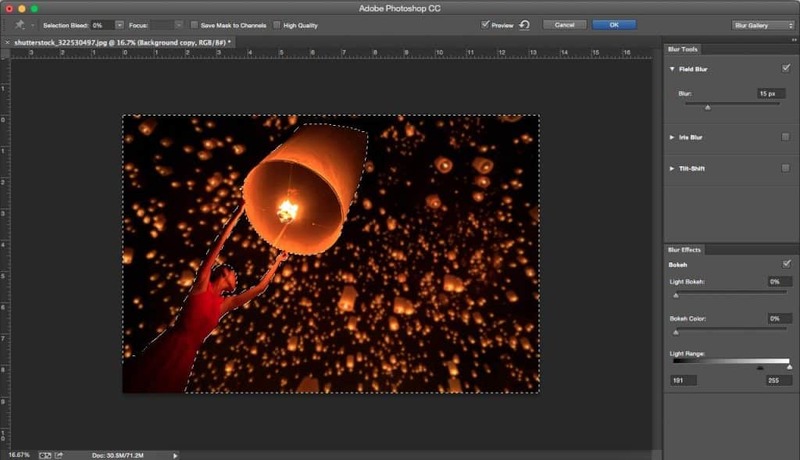 In Photoshop however, background lighting can be turned into “bokeh“ and the same effect can be achieved. This technique is used by many experienced Photo-shoppers, adding a stunning layer of depth to all of their pictures. And although (to do this properly) a field blur will also need to be implemented, after following each step listed below, the effect should be quite easy for anyone to use. While the right field blur will add a noticeable, yet natural obscurity to all background images and emphasize an image‘s focal point by pixelating certain sections, bokeh uses what Photoshop calls “unfocused light“ or “diffused light aberrations“ to add a layer of visual-magic to each and every one of your projects. In addition to helping photographers appear more professional in the eyes of their clients, this complex, yet very worthwhile effect can make even the simplest photos look amazing. 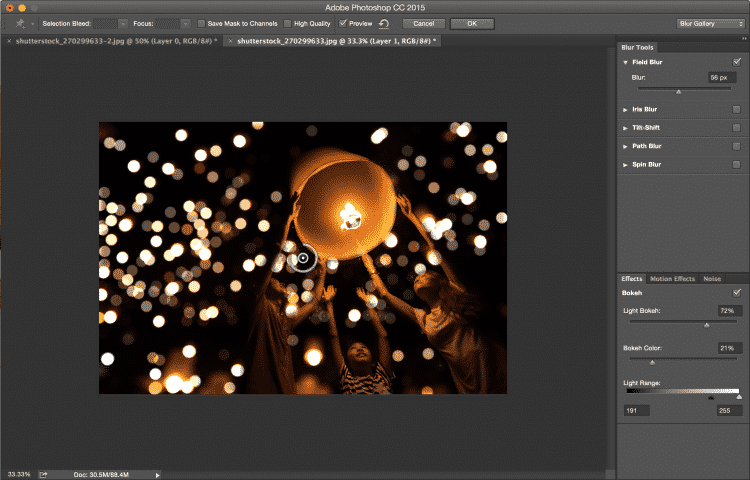 So, whether you are someone with a laundry list of serious clients, or you just began dabbling in Photoshop, if adding a layer of magic to your photos sounds appealing, then you could certainly benefit from this tutorial. Not only does it lay out (in a step by step manner) everything you need to do in order to properly implement bokeh blurring, but it will prove just how beneficial this effect can really be. The first step in adding a field blur/bokeh effect to your image, is to choose an image that is fit for this style. While the field blur/bokeh effect will of course work on just about any photo, those with a centered focal point (such as a portrait) or an already-existing depth of field and distant background tend to work best. After choosing the image you wish to blur and opening the file in Photoshop, you will need to covert the photo‘s background. This is done by right-clicking the background area you wish to edit and selecting Covert to Smart Object. Next, you will want to open the Field Blur panel. This will enable a gradual blur to be created, and separate focal points to be edited independently via pins. By moving each dropped pin to the area in which you wish to focus on, you can adjust the Field Blur with the slider located on the right of your screen. To drop your pins and gradually adjust the blur of your image‘s background, you will need to select Filter, Blur Gallery, and then Field Blur. This will open the entire Field Blur panel, enabling you to make your adjustments. You can continuously drop pins in any area of your photo, until you are fully satisfied with the levels of your field blur. This is done by either dragging the blur slider, or adjusting the pins directly. Once finished, click OK to move onto the next step. NOTE: The image below shows the blur slider towards the right of the screen. The third step in this process is to use Photoshop‘s Brush Tool and highlight your desired focal point. Fortunately, if there are any areas you accidentally went over in the last step that you wish to un-blur, the brush tool can help you with that too. By simply painting over the desired focal point of your image (or any accidentally blurred areas), you can remove all previous blurring and really make it stand out well. To do this, click on the Smart Object (located in your layers panel) and select the Brush Tool. NOTE: For the best results, it is recommended you choose a soft and round brush, while also setting the foreground to black. 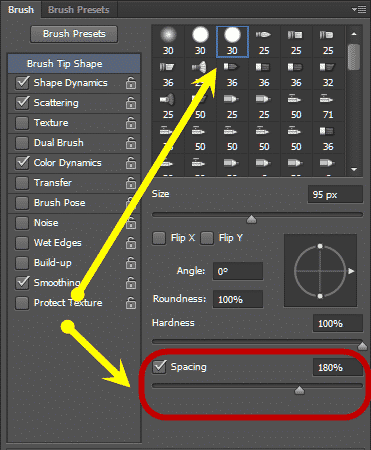 As seen below, these options, along with many others, can be located under the Brush Presets of Photoshop’s Brush tab. 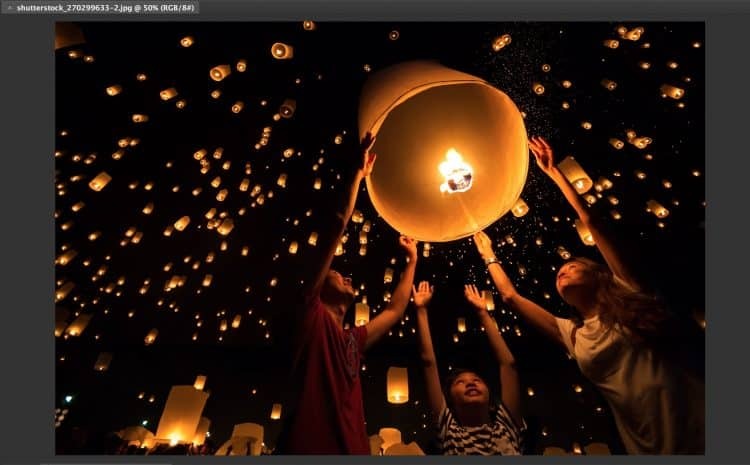 By now, your image‘s background should not only be blurred, but your desired focal point should also be “highlighted“, allowing it to be the center of attention. The blur/bokeh effect that we‘ve explained here is just one of the many Photoshop tips we have posted about on our site. And though some of the tutorials (much like this one) tend to be rather straightforward, they can really help to improve the overall quality of your image. So, whether you‘re a beginner, learning the in‘s and out‘s of the program, or an experienced photographer, looking for some extra tips, be sure to check back soon, because our posts can really benefit your work. Also, be sure to check out some other online sources as well. There are many other bokeh tips and Photoshop effects (in addition to the ones we have already posted about) which can even further your skills and knowledge!